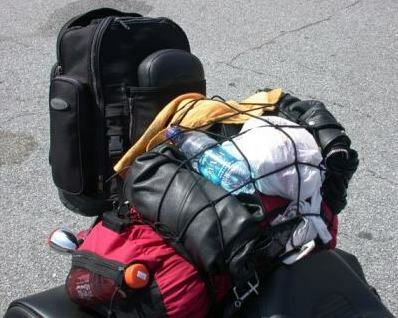 Road Captain USA » My Motorcycle is a Pack Mule! Absolutely Geist! Only other thing I carry is a small duffle bag that folds up in to itself. That comes in REAL handy when combined with the bungee net. A bungee net. Now that’s the very thing I’m looking for. It’s amazing to me how much stuff I can pack on the bike. But now I’m trying to get by with less – over packing is a pain!